The following is an insightful review of The Classic of Changes in Cultural Context: A Textual Archaeology of the Yi jing by renowned Yi jing expert, Denis Mair. See also the Cambria Press author Q&A session on this book. As a devoted student of the Yijing, I have come upon a trove of inspiring, thought-provoking materials in this “textual archaeology” by Scott Davis. I think textual archaeology is a good way of describing what he does in his book, The Classic of Changes in Cultural Context: A Textual Archaeology of the Yi jing. He really does uncover empirical evidence of design that was not noticed by commentators over more than two millennia. One wonders how that could have happened. Well, he was building on work by earlier commentators. Also, his knowledge of cultural anthropology, spanning many cultures, has helped him to notice relations among elements of the text which are there, even though they have not been spelled out in one or another ideological system which appropriated the text down through history. I would like to relate an incident surrounding my reading of this manuscript. A couple of months ago my brother Victor remarked casually that he was reading a tremendously original manuscript about the Yijing. Right then I said, “Don’t tell me who it is—let me guess. It’s Scott Davis, isn’t it?” Of course I was right. I had read a couple of the chapters in earlier form on Steven Karcher’s website. I had also corresponded with Scott on several questions over the years, and he had read and commented on my articles. We have a pretty good rapport as correspondents. As far as I’m concerned, Scott is producing the most empirically rigorous and interpretively challenging material that I know of right now in Yijing studies. Much of what Scott has to say was immediately recognizable to me as a way of ordering the inchoate material that I had thought about in my own studies on the Yijing. He has isolated several subsystems of associated images which recur at various places and which link to each other, I had realized that the placement of similar images at different contextual spots was important. (I used to view the text as an armature allowing one to “riffle through” varied aspects of a concept or image). However, I did not realize this interpretive strategy could be pursued to the extent that Scott has taken it. Scott does excellent work surveying the state of knowledge about the placement of certain activities (for example the Yu ritual) in the seasonal round. This is important because we need to be clear that the seasonal associations in the text should be kept distinct from later formulaic horary treatments. The book’s treatment of age groups is excellent. It shows that age grouping in decades was important to archaic institutions, particularly those having to do with initiation, and they had a political significance which offset clan powers. Many images in the text fall into place and become interconnected in relation to this scheme. However, Scott Davis does not simplistically force any single image into an overarching scheme. He is trying to show that the text is an artifact characterized by many interwoven schemes. One example is his handling of the doubled mountain theme. It was relevant to royal power, because the royal house held ceremonies on raised earth mounds, a practice which affirmed ritual jurisdiction over more distant landforms. But it also ties into the age group scheme, because there was a ceremonial center near the Zhou capital where youths were taught ritual behavior and were prepared for initiation into adulthood. Scott does a great job of explaining why the authors would want to link subsystems of richly suggestive images to make the text as it is. The text is unique because it represents an auto-ethnography by the early Zhou people, or at least a proto-ethnography. Its symbols allow people to visualize and describe how their own life experiences fit into a cultural matrix. As a corollary of such cultural self-expression comes the necessity of operating the system in order to grasp what its internal relations are. I was enlightened by the anthropological theory that Scott brought in to explain the motivation for constructing such an artifact and the appeal it might have had. Scott discusses the ideas of Helmuth Plessner, who has written about “eccentric” tendencies in human identity formation. Plessner draws parallels between cultural and musical forms, and he claims that de-centering is an important force in shaping cultures. The appeal of a melody often has to do with how far it can depart from a dominant chord while retaining its integrity. Hence the appeal of an associative system for placing one’s own experiences within a symbol matrix. Of course the divinatory context was an important precondition for such a system to be articulated. Scott gives a macroscopic view of the text’s structure through his demonstration that many subsystems of imagery converge upon the final hexagrams, or what he calls the “capstone” of the pyramid. I had a bit of difficulty at first visualizing the pyramidal structure, but I eventually realized that 1) it is characteristic of Scott’s approach as a structural anthropologist; and 2) it proves to be a useful way of unifying the formal aspects of the text (proceeding from total yin-yang separation in hexagrams #1-#2 toward total mixing in #63-#64) with the thematic culmination toward which the text is heading. Scott shows that thematic culmination in the last few hexagrams, particularly in the final pair, is made possible by a fusion of subsystems. The final hexagrams themselves mention some of the key images in new ways (for example, birds, vernacular rites, wine, carriages, containers). Moreover, they link back to other crucially placed hexagrams by single line changes. These threads of connection reach like whorled arms into the rest of the text. Reading Scott’s account of the structure, I was able to visualize (through the symbols) the idea that one’s life flashes before one’s eyes as one nears the end of life. I love the details Scott uncovers in the approach to the culminating hexagrams. He develops an idea of a shift from the “diatonic” mode earlier on, with distinct swatches of yin and yang, to the “chromatic” later on, in which yin and yang engage in a kaleidoscopic swirl. The terminal pair and its lead-up are beautifully described as rainbow-like, mentioning that the rainbow has been an ominous sign in many cultures. The trigrams that are traditionally matched with the four directions appear in the penultimate and ultimate pair, and these trigrams are often associated with colors—green is springtime, placed in the east; red is summer, placed in the south, etc. They are like a nimbus around the final destination. Reading Scott’s treatment of the terminal hexagrams reminded me that rainbows have ominous overtones for many ethnic groups. Tibetan Buddhists speak of rainbows surrounding the death of a great teacher—this seems to me an affirmation that the teacher has power to overcome threatening aspects of death, making rainbows into his personal “flower garland,” where before they had been a mark of implacable fate. The Navaho road of rainbows probably represents a similar road of overcoming or mark of courage. We Westerners have prettified the rainbow to make it seem like nature’s bunting cloth. Scott mentions that there are six hexagrams at the beginning, right after Qian and Kun, that are linked to the terminal pair by single line changes. The names of the first two have overtones of chaos—“Difficulty at the Beginning” and “Unknowing.” All of these early hexagrams have water trigrams, alluding to watery chaos at the beginning. In the chaos of the beginning, at any given moment, one is really not very far away from death. In the spirit of operating the system to understand it, I was immediately prompted to operate the system along lines suggested by Scott’s findings. For me, the line changes that lead to the terminal pair have a liminal feeling. For instance the third line of #3, Difficulty at the Beginning, says “Chasing a deer without a guide, one goes into the forest. The superior man discerns the signs—it would be better to let go. Going on will be rough.” Even in #5, Line two, one is simply waiting on the sand (maybe sunbathing, or just lolling on the beach), but this could be when the fact of one’s mortality might pop up for no reason in reverie. Sand grains on the beach are the “sands of time.” This reminds me of Wallace Stevens’ poem “An Ordinary Morning in New Haven” where a woman, amid the ‘complacencies of the peignoir,’ suddenly is beset by thoughts about death. The one-line-change proximity to the terminus does necessarily mean you’re getting ready to die. A line change always involves a tension as to whether or not one will cross/slip over. Just having it there latently adds to the symbolic atmosphere, even if the change doesn’t happen. For me there is symbolic grist in this, especially in hexagrams that connect to the end by single line changes. When the terminal pair is considered in its own right, #63 is about settling in, or being content with the point one has reached, while #64 is about striking out for new territory, But when taken together and looked at from within the rest of the sequence, this pair represents mortality—a terminus or ultimate transcendence. Every single hexagram pair represents a dialectical contrast between themes—they can be looked at first this way and then that way. So in the thematic tension (to flip or not to flip) of each pair, there is a margin—a holding back–just as there is at the terminal pair. So one is reminded that every change we must undergo is a little death—a little bit of death—because it takes us further toward the big death. It reminds us that final death is actually compounded of many little irreversible steps we take. I hope these musings show that Scott’s book had the effect of stimulating me to think in new ways about the text. After reading it for many years, one can easily fall into certain tracks as the old-time commentators did. But Scott’s book shows that there is fresh new life in the old dragon still! This review will also be published in the Sino-Platonic Papers. Cambria Press is proud to announce that the first book in the Cambria Sinophone World Series by Victor Mair is now available. 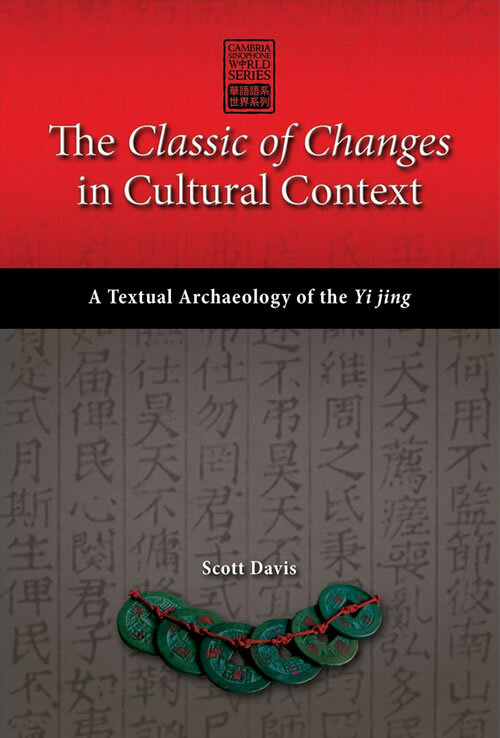 Cambria Press is pleased to present the following Q&A session with Dr. Scott Davis on his newly published book, The Classic of Changes in Cultural Context: A Textual Archaeology of the Yi jing. Below is the Q&A session Cambria Press conducted with Dr. Scott Davis. Answer: The Classic of Changes in Cultural Context is the result of several decades of exploration and analysis. Its outline emerged when I first started reading the Yi jing with my teacher in Taiwan. Since then, my work with Chinese classical texts has gradually filled in the cultural context. The interaction of text and context has clarified the analysis and supplemented the cultural details. Only a book-length treatment of my hypothesis can be decisive, as the distribution of signs throughout the text is the primary target for analysis. The analysis must be conducted over a sufficient range of cases to understand how the text was designed and operated. The whole package of symbolism can be viewed with a careful and controlled but flexible method, with a synthetic focus as practiced by structural analysis. This book is by no means an attempt to solve every problem of interpretation in the Classic of Changes, which would be a very ambitious project indeed. Rather it is a first pass over the text using the suggested method, in order to show the plausibility of further analysis in this direction, and to follow the many indications that the text has been designed in the way my book demonstrates. Question: What do you hope your readers take away from your book? Answer: My book is a paean to the Classic of Changes. It is far from an attempt to impose corrections, reorganizations, formulae, translated meanings or explanations upon the Yi jing, but rather it is an invitation to appreciate it as a textual phenomenon, with respect to its cultural context. When reading this ancient classical work, one gets the impression of a mysterious, magical, holographic device that brings together different kinds and levels of organization into a densely assembled, modular whole. 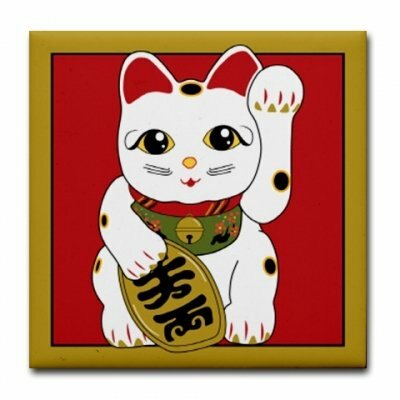 Because it is a divination text, it operates as a template for all kinds of narratives, with linkages between widely disparate aspects of human life. Its genius for making repeatable connections in every direction gives the text a modeling power that befits a sophisticated analysis of ancient social life. The text displays a life. It also captures a sense of the way a text of any kind presents a patterned field of interaction with its potential readers. As a text, it becomes a reflective object with a sort of virtual landscape, inviting explorations into its cartography and topology. My book invites readers to enjoy the deep musical dimensions of this exploration, to experience a conceptual organization that is simultaneously structural—systematic and graphic—and dynamic. Its use of symmetry and symmetry-breaking operations is especially interesting. Ancient Chinese textual techniques have much to teach us about modeling life and social processes in the attempt to understand how we live in cultures. Question: What other research do you believe is needed on this topic? Answer: Going forward, I see three directions for further work. First, as just mentioned, my book is merely a first holistic pass over the Yi jing as an assemblage of symbols. It establishes the plausibility of using a structural method to read the text. This approach appears fertile, and there remain plenty of details in the Classic of Changes that await further analysis. Second, if early Chinese sages produced texts organized in the manner of modular arrays indicated by my book—as a result of the primary orientation to divination in ancient Chinese culture—then it follows that some later texts might well have still relied on something like matrix operations to organize their material. I believe that important works such as the Analects of Confucius and the Zuo zhuan, the commentary to the Springs and Autumns chronicles (722-468 B.C. ), show a categorical orientation to textual composition that would appear to be founded on the earlier masterpiece of the Classic of Changes. Research into this organization, which has lain dormant and unanticipated in these early classics, is now underway, and can be seen as an opportunity to test and confirm this present book’s analysis. Finally, I hope that the experience of reading this hologram of ancient Chinese thought and analysis, which amounts to an extraordinarily successful and sophisticated autoethnography of archaic human society, will inspire contemporary readers to reconsider ways of modeling and reflecting upon conditions of human existence that constitute our cultural lives. By learning to share the insights of ancient Chinese thinkers as they commenced the long human project of writing and literature, I am convinced that we will be able to accomplish new approaches and new syntheses of cultures, which will in turn enhance our own self-awareness and viability as inhabitants of this Earth. Recommend this book to your library! Librarians can order the book directly from Cambria Press or they can order through their preferred academic book wholesaler (Cambria Press is on the approval list of premier wholesalers like YBP). Be sure to check out the great e-book program from Cambria Press too!